Yesterday Social Mobility in the UK received a timely boost when the Rt Hon Justine Greening MP, launched the Social Mobility Pledge for business and employers in Westminster. As the founder of a Social Mobility charity and of the UK Social Mobility Awards, I very much welcome this initiative for a number of reasons. Firstly, the Pledge focuses on three main areas which are all activities covered by the UK Social Mobility Awards and which are very much achievable. The areas of the Pledge are 1) partnering with schools, 2) giving access to apprenticeships or work experience opportunities to disadvantaged young people, and 3) embedding open recruitment practices that promote a level playing field for candidates such as name blind recruitment or contextual recruitment. The Pledge very much compels companies, large and small, to take the lead on Social Mobility meaning that they become part of the solution rather than part of the problem. Above all, it’s very reassuring to see that the pledge is backed by major employers such as BT, Aviva, Adidas, ITV, Clifford Chance, KPMG and others. Backing from these significant business names, many of whom were honoured in the UK Social Mobility Awards, gives me confidence that the Pledge will be something most if not all companies will think about making. It’s also really pleasing to see other organisations supporting the Social Mobility Pledge such as the CBI, British Chambers of Commerce and the Federation of Small Business, which has asked its 170,000 members to sign up. This Pledge can be a real step-change in how UK businesses view Social Mobility if we want it to. One additional thing I’d like to see is for companies to develop their own social mobility plan to measure what gets done and to strengthen the link between the work that companies do in the sector with charities and other experts so that we are consolidating efforts collaboratively. 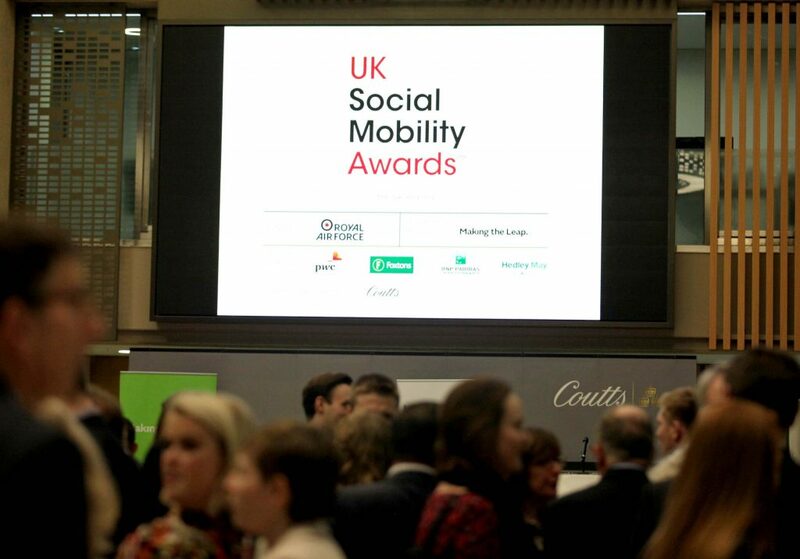 Nominations will open for the 2018 UK Social Mobility Awards will take place on 16th April 2018. For more information please contact me directly or go to the website.